The NaV1.7 gene (SCN9A) encodes a voltage-gated sodium (NaV) channel, primarily expressed in the peripheral nervous system. It has been isolated from rat dorsal root ganglion (DRG) neurons, human medullary thyroid cancer cells (hNE-Na) and PC12 cells. Different NaV channels play a key role in modulation of action potentials in the central and peripheral nervous systems. 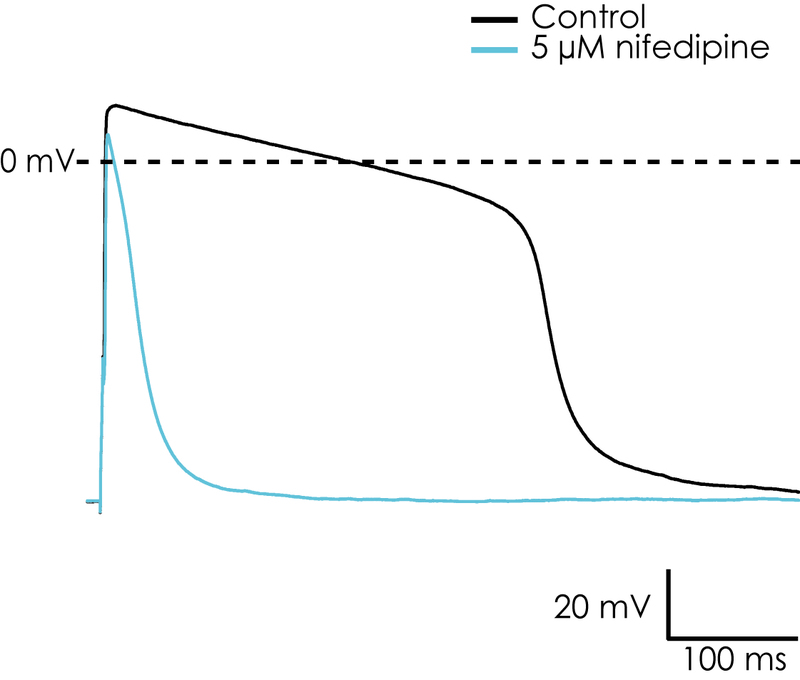 In particular, the fast upstroke of the action potential is mediated by NaV channels. 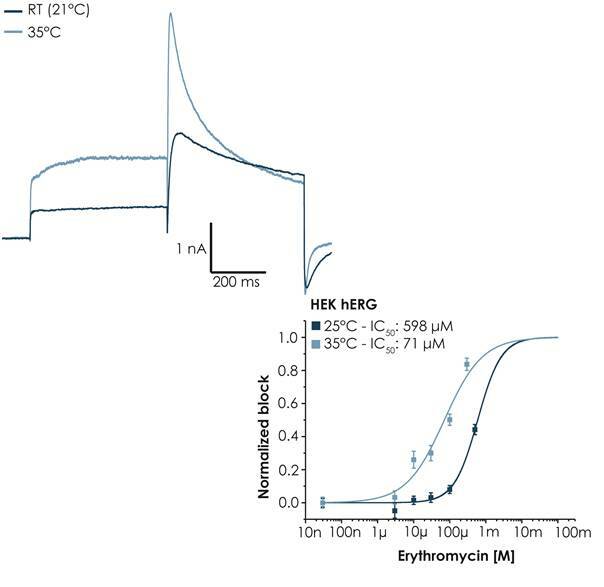 NaV channels are in part characterized by their TTX-sensitivity (TTX-resistant [TTXr], TTX-sensitive [TTXs]). NaV1.7 is a TTXs channel and is sensitive to TTX in the nanomolar range. The role of hNaV1.7 has yet to be fully elucidated but is proposed to play an important part in nociception and pain sensing. NaV1.7 has been implicated to play a role in disease pain states, in particular inflammatory pain and hypersensitivity to heat following burn injury. 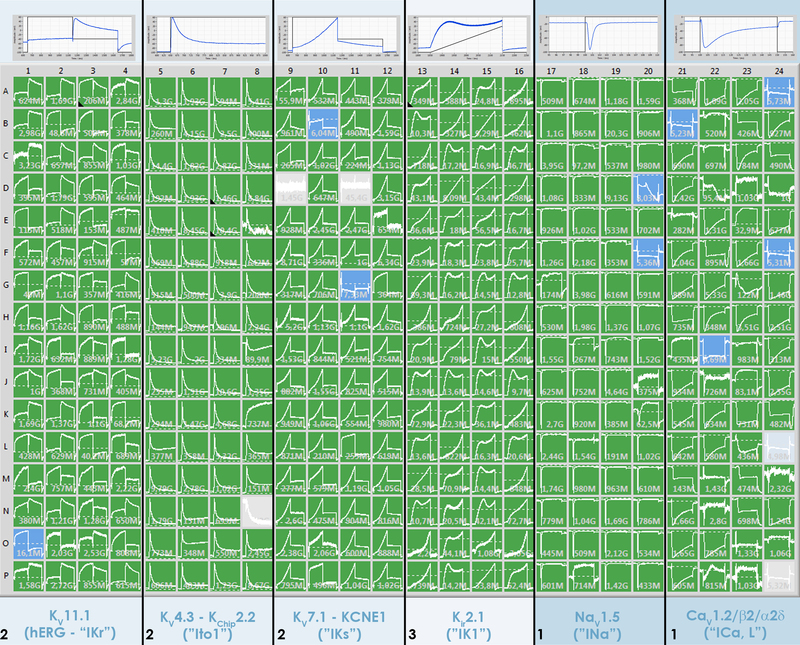 Common to many of the voltage-gated ion channels, a number of compounds exhibit both state- and use-dependence. For this reason, it is important to be able to reliably measure the effects of compounds using different voltage protocols to investigate state and use-dependency. 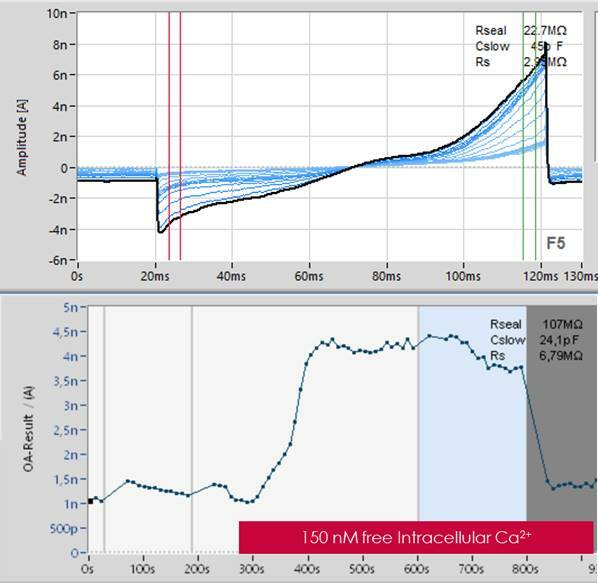 In this Application Note we present data using the SyncroPatch 384PE characterizing CHO cells stably expressing hNaV1.7. 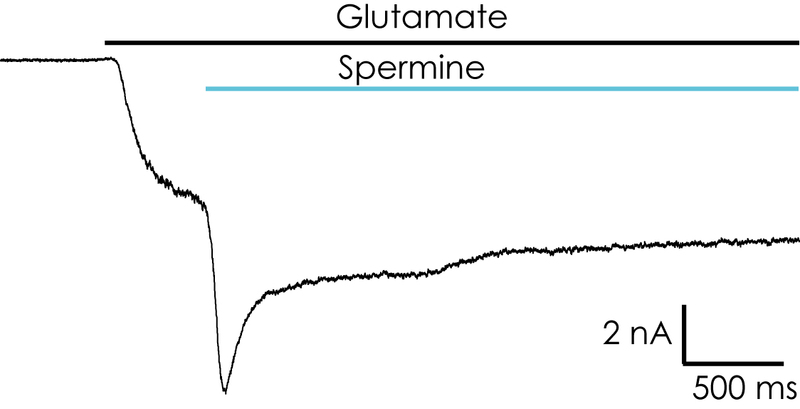 The current-voltage relationship and the state- and use-dependence effects of the sodium channel blocker, tetracaine, are shown.